I love making panna cotta. It's so easy, and it always seems to impress. 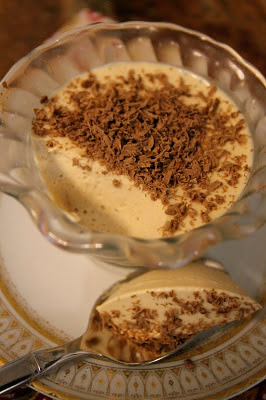 I've been working on various versions of panna cotta ever since I discovered how darn easy it was...when I was in Buffalo visiting with my grandma, I tried my hand at this recipe. Incorporating the greek yogurt into the panna cotta makes it lighter. This variety can also be made with or without sugar, depending on your diet. It's got a yogurty taste to it as well....and since there is chai in it, would it be totally out of order if I suggested it as a breakfast food? You be the judge. I'm just going to put that out there. Just in case. This was the recipe I made for my grandma when she told me that I was a good cook...so for me, this has a special place in my heart. Everyone should have a moment where they get a cooking compliment that changes their lives...this was my moment. First things first, get your gelatine ready by putting it in a bowl with three tablespoons of cold water. People don't seem to like to use this product too much anymore...so if you go to your store and they have no idea what you are talking about, it's in the baking aisle, generally near the jello. I'm using two 1.1 ounce packets of powered chai tea. It's sooo yummy. You can use more if you like, but I don't need the overpowering flavor, just something to let me know chai is there. If you want to add your sugar, now is the time. You can add 1/2 cup of sugar, or even a bit more if you really have a sweet tooth. I did no sugar in this one. 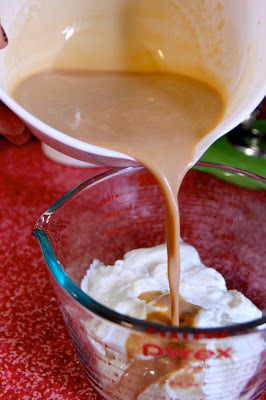 Add a cup of heavy cream and use a whisk to stir. You want to heat this until hot, but NOT boiling. This makes me nervous every time....AH! Don't boil! If you put your burner on medium and go about five minutes, you should be okay. I took the temperature on mine and it was somewhere in the way of 110 degrees. If that means something to you, awesome....it didn't mean much to me because that was the point where I realized that I didn't know the temperature for boiling. Now I have looked it up, and I see it's 212 degrees. So there you go. Once your chai/ cream mixture is anywhere between 110 and 200 degrees, pour it into your gelatine, and mix to fully dissolve the gelatine. 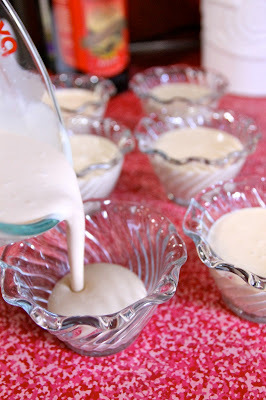 Once your gelatine is dissolved, pour your cream into your yogurt and whisk it! ...and then put these in teh refrigerator for a few hours to set. I grated some chocolate on top. I think honey would also be a fabulous topper, but there is also always the classic whipped cream and/or fruit. Go crazy. It's your panna cotta, and no one can tell you hot to serve it! In a small mixing bowl, combine gelatine packet and cold water. Allow that to sit while you heat the cream. In a small saucepan, combine chai tea, sugar (if using) and heavy cream over medium heat. Watching the cream carefully, allow it to heat for about five minutes or until hot and steamy, but NOT boiling. Pour your hot cream over your gelatine and stir to fully dissolve the gelatine into the cream. Pour the cream/gelatine mixture into the yogurt. Whisk to combine fully. Distribute the mixture into the six dessert cups. 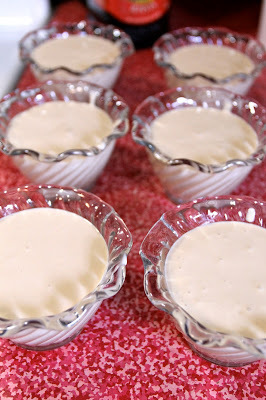 Place the dessert cups in the refrigerator and allow them to set for three hours or up to one day. Garnish with fruit, honey, or shaved chocolate to serve!